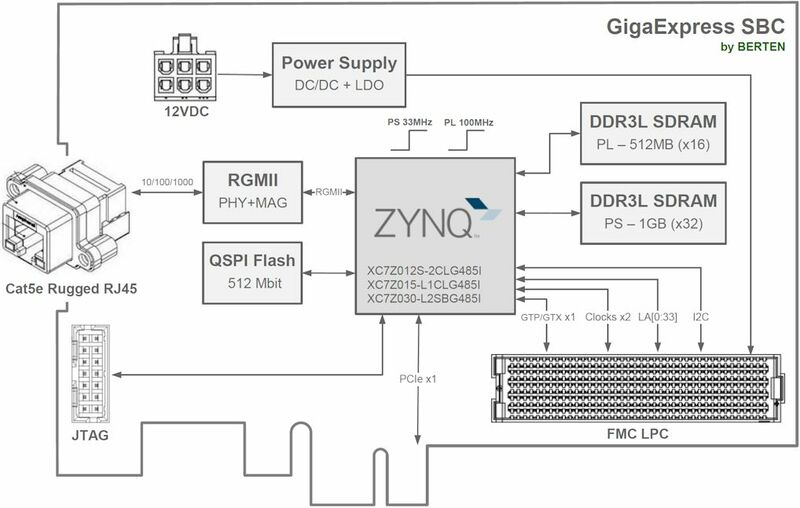 The GigaExpress is the world’s smallest Zynq® FMC carrier. This rugged, low power, and small form-factor Single Board Computer (SBC) features Xilinx’s Zynq® SoC and DDR3L RAM for both the processing system (PS) and the programmable logic (PL). The GigaExpress is a VITA 57 compliant FMC carrier, supporting up to 10W mezzanine modules. The Gigabit Ethernet and PCI Express interfaces add flexibility and simplify installation in different platforms. The rugged design, extended operating temperature range (-40ºC to 85ºC), and accurate clock oscillators make the board suitable for final integrations in avionics, ground stations, rack-mount units, and custom housings. The GigaExpress is designed for operating in harsh environmental conditions. It includes vibration robustness components, and a RJ45 connector compliant with IP68 applications per IEC 60529 specification. 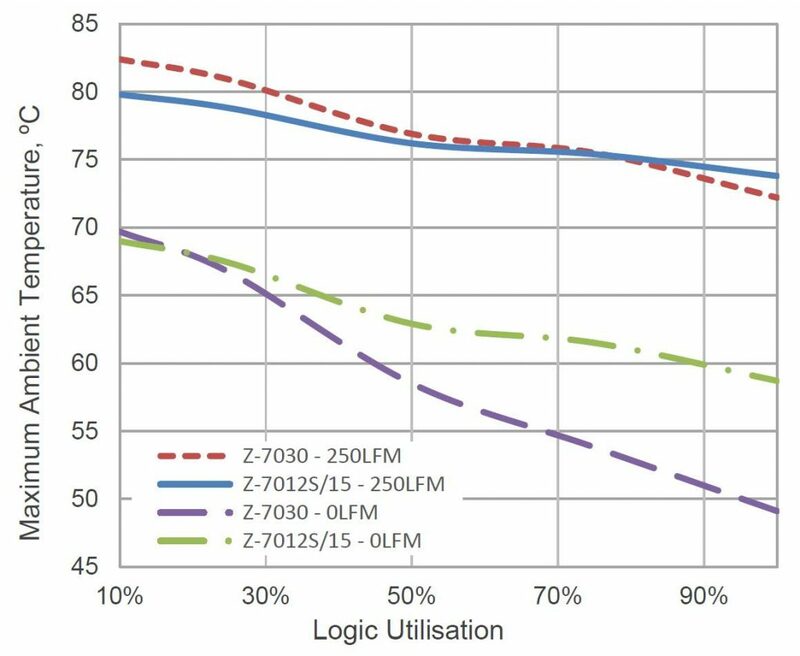 The heatsink attached to the Zynq has a thermal resistance of 18ºC/W at natural convention and 6ºC/W at 250 LFM of ducted airflow. It uses PEMS and compression springs to ensure shock and vibration robustness.